Before the trade show, SmartDeco was approached by retail experts from Metamorphosis, who identified our range as representing a key retail and style trend for 2014. 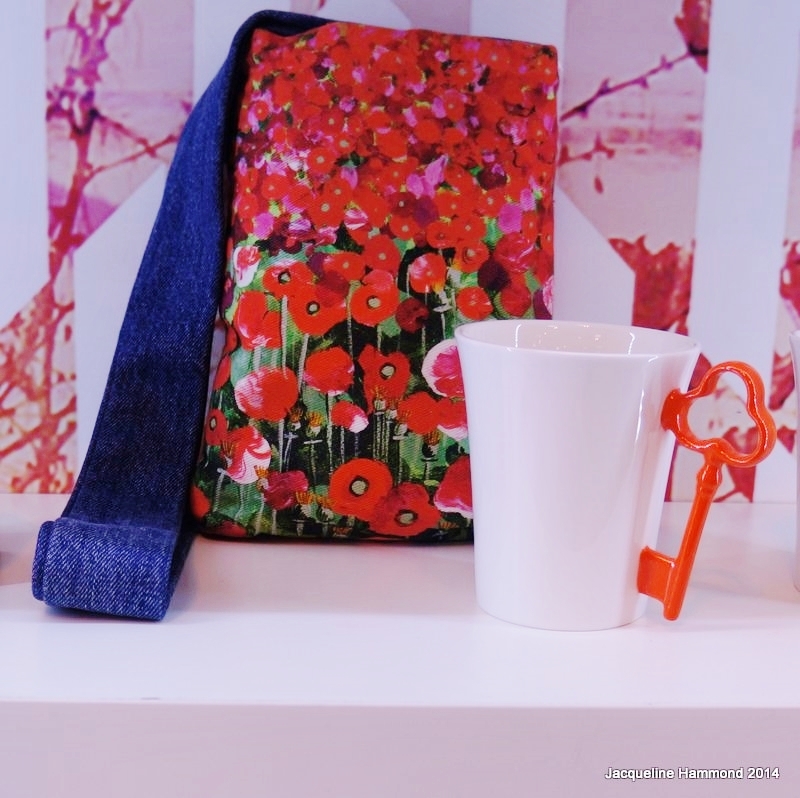 They highlighted the Poppy Upcycled Denim Cross-Body Bag for use in their presentations to the show audience. 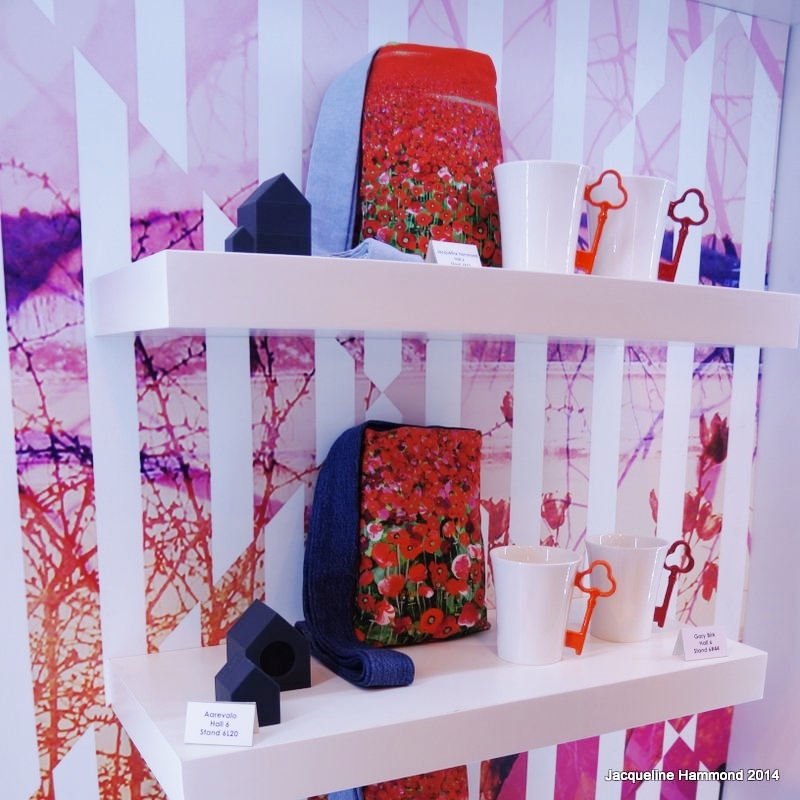 The Poppy Bag was selected for a display of on-trend items set inside larger than life size 3D books, each representing a key theme, in a prominent location of Spring Fair – the Hall 5 Gift Box area. 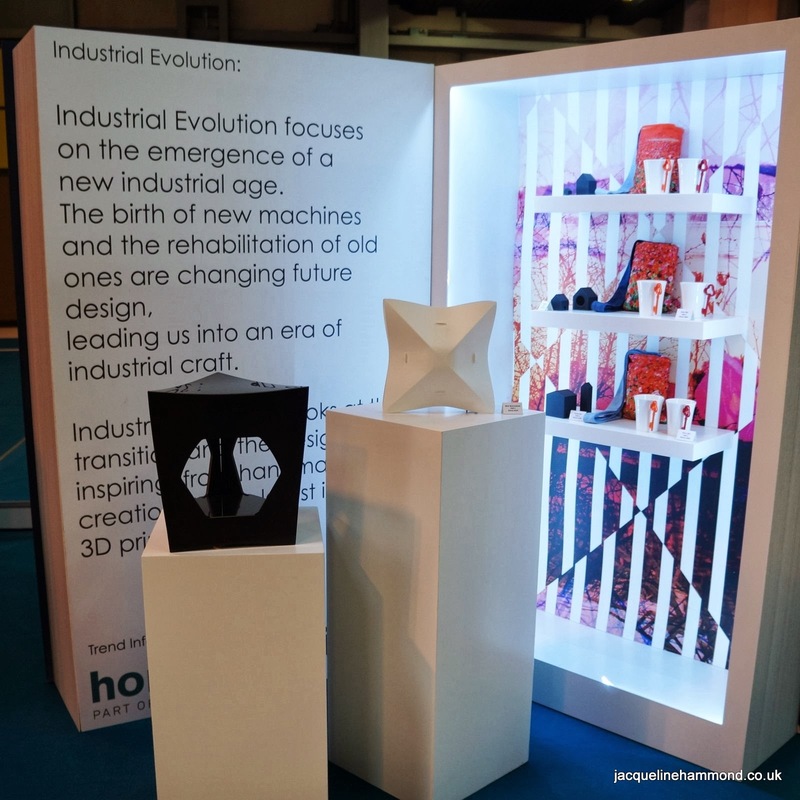 This display presented key on-trend exhibitor products for 2014, which the speakers Ellie Kidson and Eve Reid of Metamorphosis discussed in their talks. 76% of shoppers never speak to sales assistant – that means good visual merchandising is not just important, it’s your life-line. The display looked stunning. We feel we too could benefit from their advice after seeing the Poppy Bags displayed like this and will be featuring a few visual merchandising tips soon. Our Poppy Bags, as displayed in Hall 5. This entry was posted in Business, Exhibited, Smart Deco Collection and tagged Art, artist, fashion, homeware, Local News - Brighton, on-trend, poppies, poppy, retail, shops, spring, trade show. Bookmark the permalink.